Infill plays several roles in synthetic turf. In general, infill holds synthetic turf fibers upright and in place. Sand serves as a ballast to weigh down synthetic turf and provides similar footing to natural grass. Crumb rubber has long been the choice for artificial turf infill due to its cost effectiveness. It helps absorb the impact of falls and plays a vital role in force reduction and g-max ratings for safety with artificial turf systems. 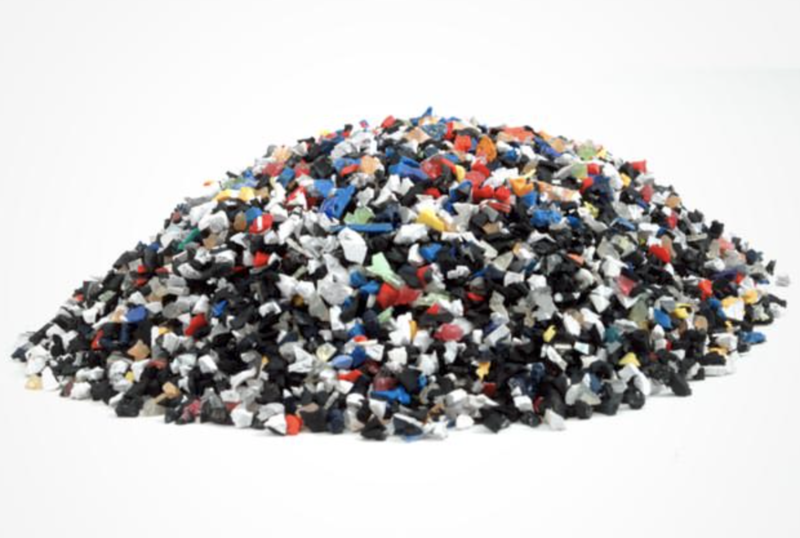 Much noise has been made about the risks of the rubber granules and to date there are no scientific studies detailing danger with respect to crumb rubber. We hold that it is more of a Public Relations issue than a medical one. That said, replacing crumb rubber granules should be about designing entirely new artificial turf systems with different turf infills rather than just swapping some other substance into a system intended for crumb rubber infill. But, all too often, we see clients, designers, and other artificial turf companies look at alternative infill options in a vacuum. They say, “Oh, no crumb rubber? Let’s just substitute something else.” Rather, infill should be looked at as one element of an overall system that is comprised of synthetic turf carpet, infill, and pad, with each element interacting and affecting the others. Some manufacturers have tried to sell a cork-based infill as an “alternative” to crumb rubber. However, installing cork in a low fiber / high infill synthetic turf system designed for rubber causes more problems than it solves. Cork floats and migrates during heavy rains. It also is not guaranteed for the life of the field and must be replaced every few years, as it breaks down. Sports Turf Company believes replacing crumb rubber is about matching infill with an artificial turf system designed with that infill in mind. For example, zeofill and sand infill in a DT artificial turf system with a high amount of fiber, provides a fast surface that mimics a natural grass field while a pad provides force reduction similar to a natural grass field. 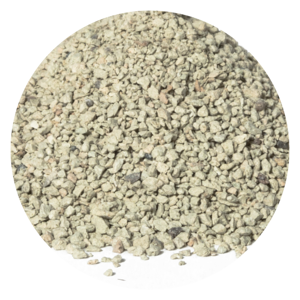 Zeofill is a brand of zeolite and is a mineral, that absorbs 80% of its weight in water, provides a cooling effect for artificial turf fields that has no “tire smell” . The molecular shape allows it to absorb and slowly release water for noticeably cooler field temperatures. Nike Grind is only available for AstroTurf systems. Nike Grind infill is a rubber infill material that is derived from the excess materials collected during the manufacturing of Nike shoes. The rubber outsoles are collected, chopped up and sized for optimal synthetic turf field drainage, and encapsulated with a premium green coating that bolsters infill resiliency and creates a more uniform and plush field appearance. BrockFILL is the latest and greatest alternative infill in the artificial turf world. BrockFILL is harvested from a prolific species of trees and specifically engineered using special equipment during the manufacturing process to remove long particles that could become splinters. A successive conditioning process also buffs and smooths particles into a non-abrasive infill.